Care2 Causes | Chile Passes Historic Trans Rights Law! 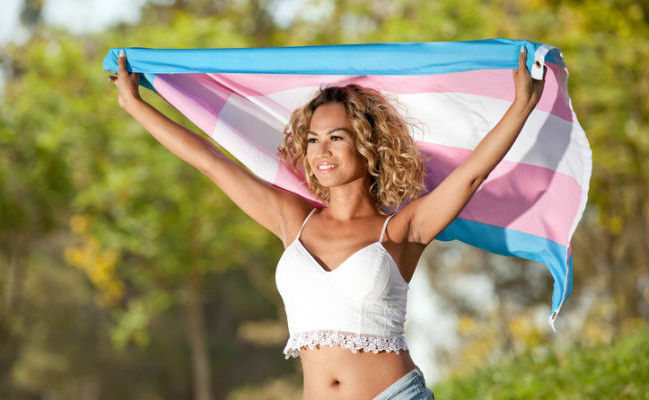 Chile Passes Historic Trans Rights Law! After a five year battle Chile’s lawmakers have finally succeeded in passing a gender affirmation law that will allow young trans people to officially change their genders. Voting 95-46 in favor, Chile’s lower chamber of Congress approved the law which will allow people over the age of 14 to apply to have their gender markers and names changed via a simple, official process. The change does not hinge on whether someone has gone through surgical procedures, thereby demedicalizing trans identity. Activists have worked tirelessly to get this passed since the legislation was first introduced in 2013. Congrats and kudos to so many amazing activists who worked so hard to improve #trans right. “We are in the presence of a historic event, which we celebrate with great emotion and joy because it will improve the quality of life of thousands of people who have had their dignity and rights postponed only because of prejudices in relation to gender identity,” Alvaro Troncoso, head of Chile’s Movement of Homosexual Integration and Liberation, is quoted as saying. Other activists praised the law but described the moment as bittersweet, because in order to get the bill through Congress, the legislation had to go through a number of compromises. One such compromise is that the legislation only applies to children over the age of 14. Many people begin to experience gender dysphoria or gender incongruence far earlier, and research shows that their gender identity will remain consistent. For those young people this legislation cannot provide help, and that must change, say activists. But, for now, the legislation stands as a landmark for Chile’s latest slew of progressive reforms. It is not out of danger yet, however. Center-right President Sebastian Pinera must now accept or reject the law within the next 30 days. Pinera spoke out during the presidential elections last year against laws he said allow minors to change their gender “like a shirt” with no oversight from their parents. While this would seem to signal Pinera is against the bill, he has also previously stated he would not discriminate against LGBT persons. It’s also worth adding that a previous incarnation of the bill would have allowed persons under the age of 14 to affirm their gender. This clause was removed from the finalized version of the legislation, while children aged 14-18 must first seek permission from their caregiver(s) and will need approval from a family court judge. While this is problematic for a number of reasons, not least of which the caregiver may stand in the way of a child’s affirmation, this does apparently answer Mr Pinera’s ill-informed concerns. Activists are quietly optimistic that Pinera will allow the law to stand. The greater challenge now is that right-wing legislators are already reportedly preparing a case to challenge the law via the Constitutional Court. Unlike in the US, where the courts act as a check on the legislative and presidential branches of government, Chile’s Constitutional Court is capable of modifying legislation. Right wing legislators are said to be building a case that the legislation harms the rights of children — though how it does so is unclear. Chile’s Constitutional Court has, however, appeared to lean toward progressive causes in recent years and it would seem that pro-LGBT groups have solid footing for defending the law. If anything, they may wish to argue that the legislation actually discriminates against children younger than 14 and will need to be modified accordingly. These are not insurmountable hurdles for Chile’s new gender identity law. While imperfect, it’s undeniable that this legislation is a solid step toward a better future for Chile’s trans population and its trans youth, who deserve the right to live their lives affirmed in who they are. Congratulations to Chile on this important human rights victory! Kudos, indeed! Sensible, compassionate and just RIGHT! If we weren't strangled by a very small group of religious nut cases....we could enforce laws like these.